Whether looking to install a new door, or replace a few windows, TC's Blinds & Tile Services can do it. 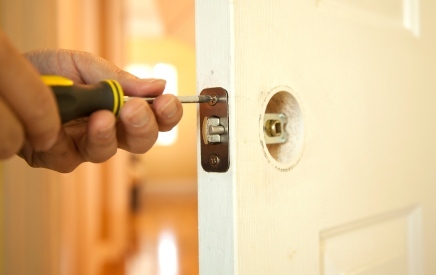 Looking to replace a door knob, add a screen door, shutters, storm windows, give TC's Blinds & Tile Services a call. Your doors or windows need weatherproofing or caulking, or need to repair the window screens, TC's Blinds & Tile Services wants to do it! Experience – The professionals at TC's Blinds & Tile Services have been repairing and replacing doors and windows since 1999. They ensure that all weatherproofing is working properly, and that the windows and doors seal tightly against the jamb. TC's Blinds & Tile Services inspects all glass for any cracks or broken seals, which might allow moisture to penetrate between dual or triple panes. They take the time necessary to inspect and maintain all of your doors and windows to save you future headaches. Affordable – Door and window resellers often charge a premium for service. However, TC's Blinds & Tile Services rates are always fair and reasonable and can save you considerable cash on door or window service. For window and door service by TC's Blinds & Tile Services call (817) 381-0061 and learn more!